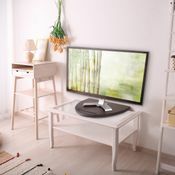 The Prosumer’s Choice black bamboo swivel is exactly what you need for your home entertainment center or office. 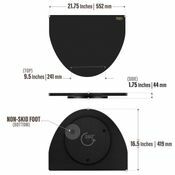 Our elegant and functional solution makes it easy to turn your screen a full 360 degrees for the best viewing angle anywhere in the room. 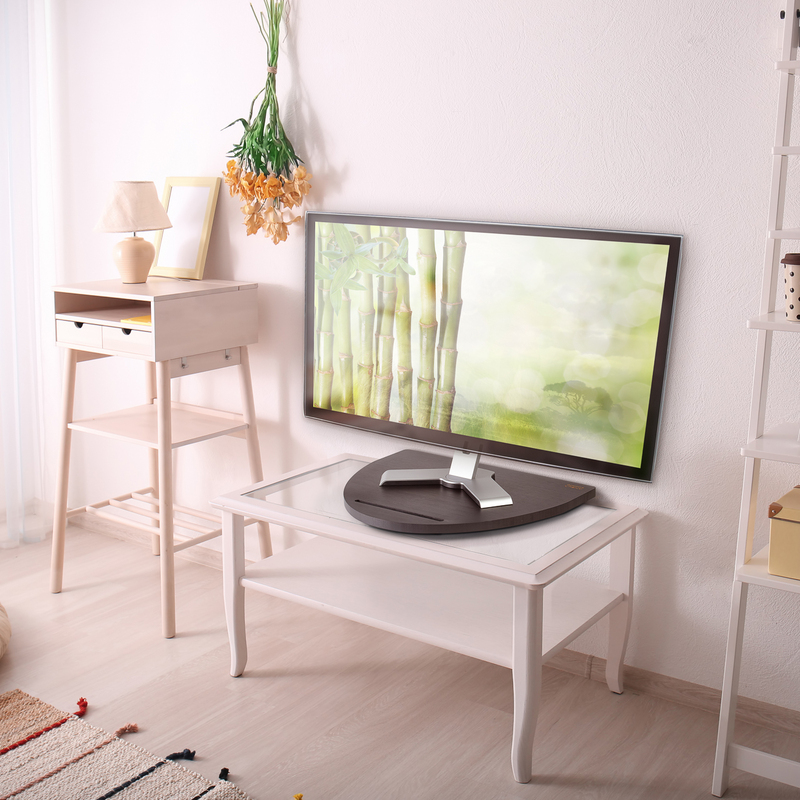 Rotating your TV or monitor also allows quick access to the back of your device for no-fuss cable management. 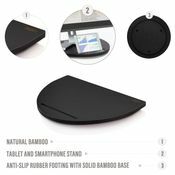 Made of all-natural bamboo with a sleek black finish, this swivel stand features a beautiful arc shape for a clean, modern appearance. The smooth sanded half circle means you won’t have to worry about sharp corners poking your fingers when you turn your devices. A semi-circle shape is also a safer choice for families with young children who shouldn’t be around pointy objects. The bamboo material means your new stand will last for many years of enjoyment. 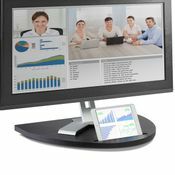 The heavy-duty stand holds up to 220 lbs., so it’s strong enough for flat screens up to 55 inches. The steel ball bearings provide even, quiet rotation to keep your devices steady and stable as they turn. 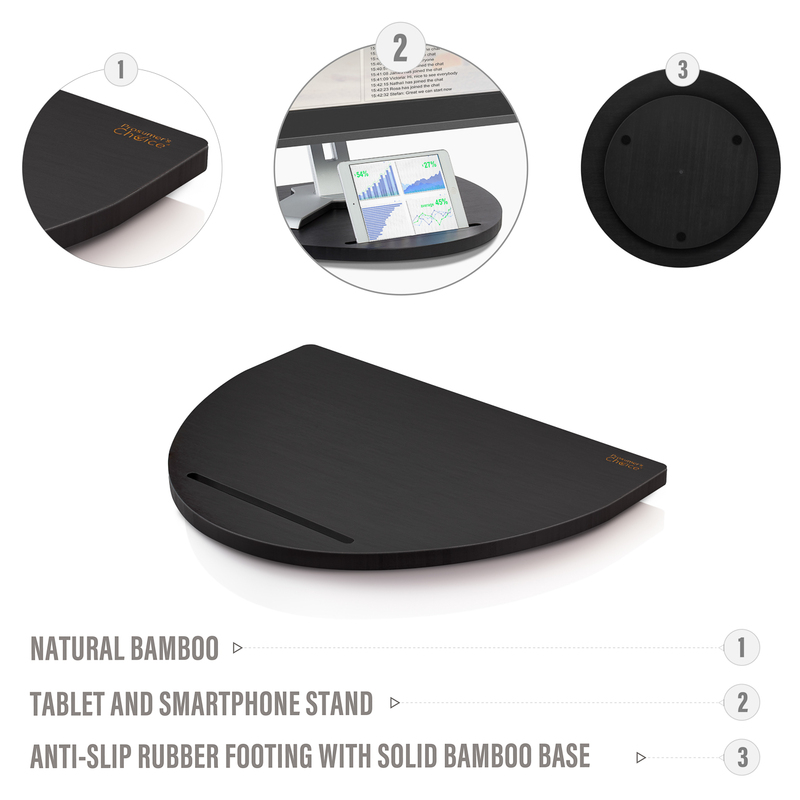 This stand is equipped with non-slip rubber feet that hold it firmly in place. 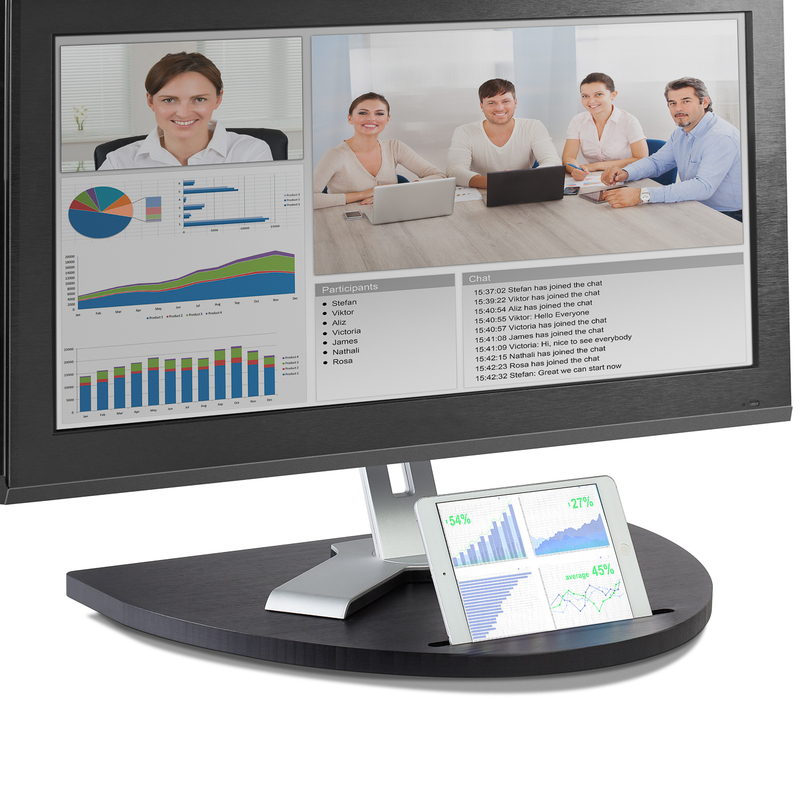 This durable swivel stand doesn’t just hold TVs and monitors; you’ll see there’s a dedicated device slot towards the front of the base. We know many people use tablets and Smartphones while they’re watching TV, movies, and gaming; the device slot gives you a place to hold your small screens so they’re ready to go. When placed on your desktop, the riser’s device holder helps you work efficiently by propping up your phone or tablet in front of your monitor for quick access and clutter-free organization. We want you to have a turntable stand you’ll be proud to display in your living room, kitchen, den, or office. 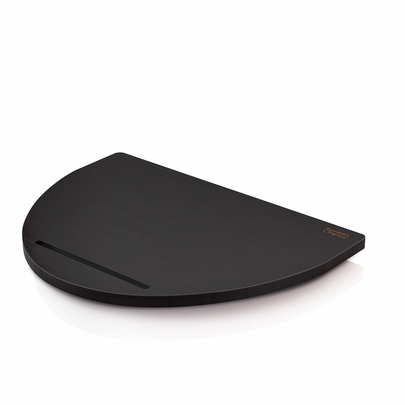 The black finish blends in with the rest of your décor and the low-profile design provides a minimalist look. The stand is ready to use out of the box with virtually no tools or assembly required.